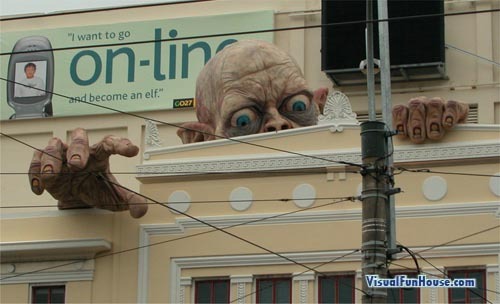 Lord of the Rings 3D Billboards Leave a lasting with out using a single word. LOTR is very popular movie trilogy full of mystical creatures and enchanted lands. These bill boards are giant lifelike recreations of some of the movies characters. 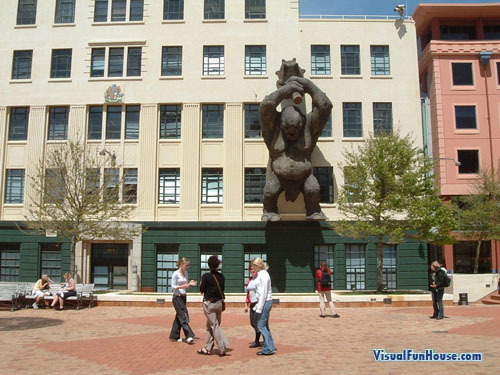 These giant Creatures were created and displayed throughout New Zealand on everywhere from hotels to shopping centers. Nazgual the dragon, Smeagul and Gollum the troll and the dark knight who was once a peacefully hobbit but was transformed by the ring! I like the first one most of all. I certainly need to visit New Zealand to see it. My favorite is the Nazgual one. I can’t belive that it’s a billbored! 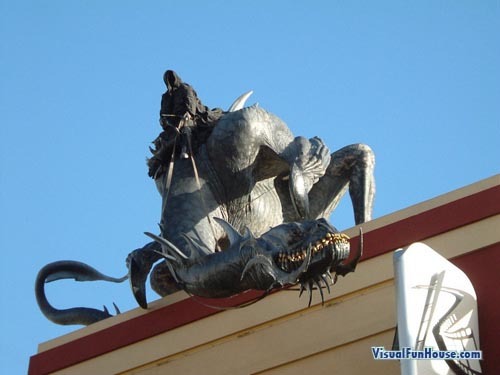 I want the Nazgul one on my house!!! These weren’t really billboards, more sculptures around Wellington, the capital city of New Zealand. They were created for the premier of the final Lord of The Rings, The Return of the King. The Building featuring Gollum is the cinema the premier was held in, the Embassy Theatre. 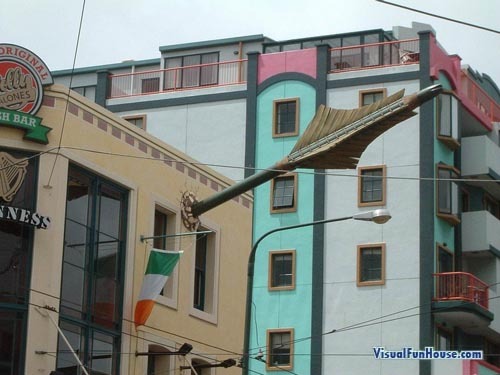 Unfortunately the were removed shortly after the premier in 2003.